The Bible is described as any collection of the primary religious texts of Christianity or Judaism. There are many different types of bible in the world and within each type there are various translations. Depending on what religion you conform to will influence what kind of bible you use. 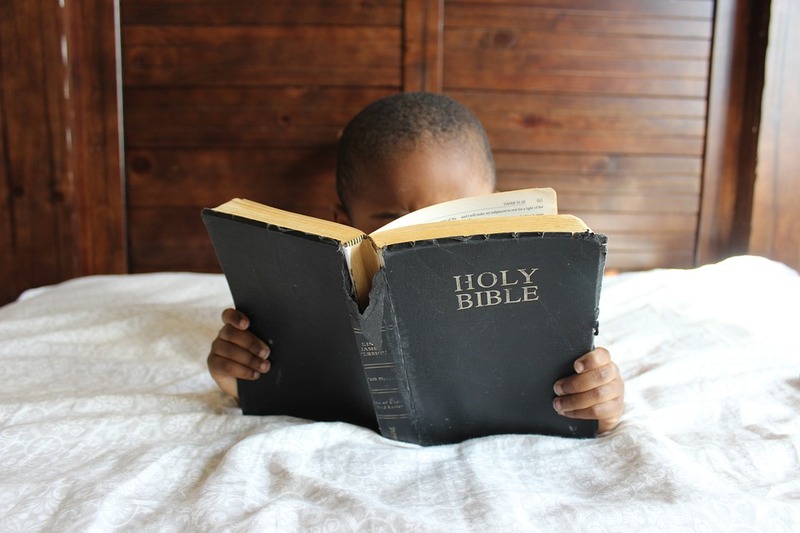 Many people choose to give a bible as a gift at a Christening or Baptism and often it is the Godparents who purchase the present as their way of guiding the little one in their faith. But what kind of bibles are there? This is any type of bible descended from the Gutenberg bible (the first major book produced on a printing press anywhere in the world). This consists of the 39 books of the Old Testament (Hebrew scripture) and the 27 books of the New Testament. Popular versions of the Protestant bible include The King James Version which is an English translation by the Church of England in 1604; and the New International Version which is one of the most popular English translations (published in the United States). This is similar to the Protestant bible but as well as containing the 39 books of the Old Testament and the 27 books of the New Testament; it also include the Apocrypha which are 14 books written during the Intertestamental period. This is the period between the end of the Old Testament and the beginning of the New Testament. This is a bible mostly used by Jews and is often referred to as the Tanakh. It is similar to the Christian Old Testament except the books are in a different order and have different names. This bible is called The New World Translation and it differs because Jehovah’s witnesses are not Christians and they do not believe that Jesus Christ is God. All bibles, whatever type you read, are translations of the original languages. The Bible was never written in English; the Old Testament was primarily written in Hebrew and the New Testament was originally written in Greek. Your choice of bible is obviously determined by your type of faith. But as well as the main religious bibles, there are also different varieties of bibles to choose from. Traditional; very old-style and mainly text based. Reference; cyclopaedic index of words and the reference to the verse location and its meaning. 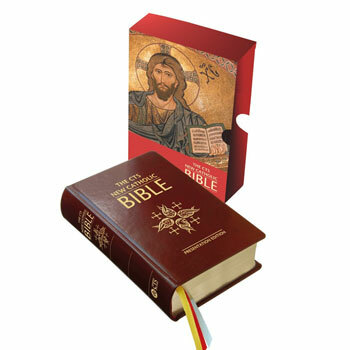 Pew bible; inexpensive bibles to be placed in pews of churches for worship. Pastor’s bible; include protocols and recommended verses for special occasions like a wedding, funeral, Easter, Christmas etc. Also includes answers to frequently asked questions. 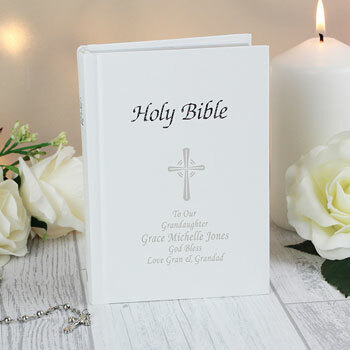 Personalised bible; you can often have a bible personalised on the front cover which makes it an extra special gift for a Christening, Communion or Baptism. How do you choose the best bible for you? It can be difficult to know which bible is right for you given the many different types available. In order to know what is best, you first need to establish who will be using it and what the needs are. Who is the bible for? Is the bible for a first-timer or for a study group? Determine who the reader will be as an adult will require a reading level that is more complex in contrast to a young child who will need simpler vocabulary. Also, different translations offer diverse interpretations. 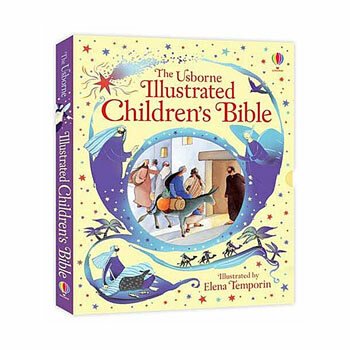 If you are buying a bible specifically for a special occasion such as a Christening then a popular choice is the King James Version. If the child belongs to the Roman Catholic Church then a Catholic bible such as the New Jerusalem Bible or the CTS New Catholic Bible may be more appropriate. If you are purchasing a bible for a Communion there are specific versions you can choose to suit this occasion. 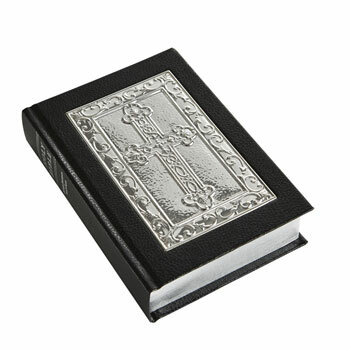 Bibles come in various covers including paperback, hard cover, kivar, and leather. Also take into account the size and layout for example - those who are visually impaired will require bibles with large font. Here at Born Gifted we have an extensive selection of bibles including King James versions, New Testament (Psalms) and Catholic bibles. These are all popular choices for religious celebrations such as a Christening/Baptism or Communion. If you have the honour of being a Godparent take some time to browse our very large range of personalised christening gifts - we are sure you will find plenty of ideas to suit your budget.